A test mule of the next-generation Honda Fit was recently spotted covered in camouflage, but there are still some things that can be gleaned from this test vehicle. First, it's obvious that this next-gen Honda model will be a bit sleeker than before, with a more swept back windshield and a prominent nose. There are also some plastic fender flares present over the wheel arches, which could mean that Honda crossovers are influencing this new model. The next Honda Fit is also getting new headlights with LED accents and a new two-bar grille. The interior of this new Honda hatchback also gets an upgrade. There's naturally a large touchscreen, obviously for use with the car's infotainment system. Then it looks like the gauge cluster may have been replaced with a digital readout, complete with data like fuel levels. This is usually a more high-end option, so we'll have to wait and see if this new gauge cluster is standard or just found in higher trim levels. We look forward to learning more about the next Honda Fit in the coming months! In the meantime, visit our Honda dealership near Poway, CA. Our friendly and knowledgeable Honda dealers will make it easy to find a model that suits your budget and driving needs. 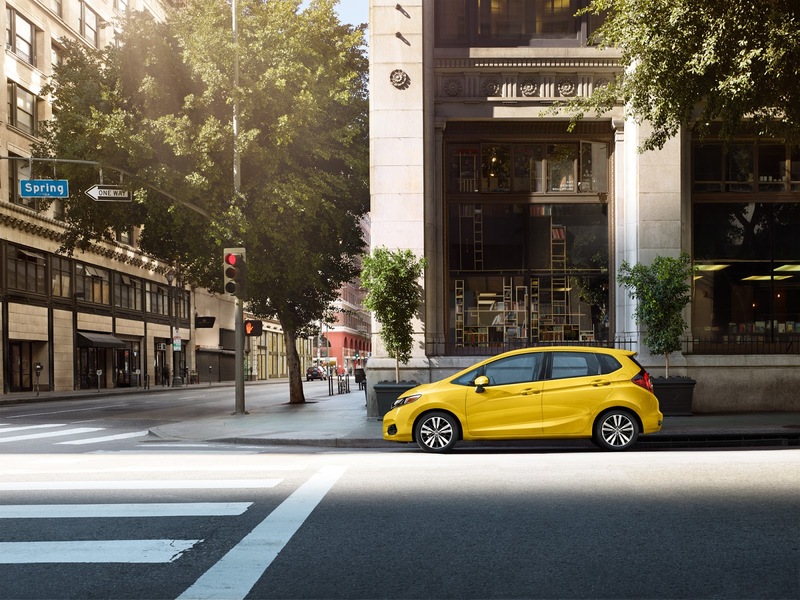 We look forward to seeing you, whether you're buying now or looking into a future vehicle like the new Honda Fit!